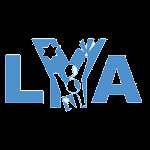 The mission of the Lubavitcher Yeshiva Academy's Parent Teacher Organization is to support and enhance the programs provided by the school. The aim of the Organization is to bring families and staff together to build a sense of school-wide community. The PTO organizes and sponsors school-wide fundraisers, educational programming and cultural events.